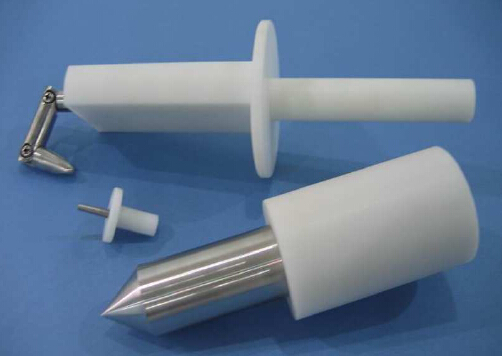 The IEC 60132/60335 standard Test Probe Pin Thorn Kit are the necessary items for household and similar electrical appliances anti-electric shock protection test. This is a precision test finger made in accordance with many standards like IEC 61032 figure 2, IEC60950 figure 2A,IEC60884,IEC60335,UL507,and UL1278 figure 8.4. This probe is intended to verify the basic protection against access to hazardous parts. This pin is intended to verify the protection against access to hazardous live parts in class 0 equipment and class II equipment. It conforms to IEC61032 figure 9 Test probe13, IEC60950 figure 2B, IEC60335 and IEC60065 standard requirements. The test thorn probe is intended to verify the protection against access to glowing heating elements. It complies with IEC61032 figure 16 Test probe 41, IEC60335 standard requirements.